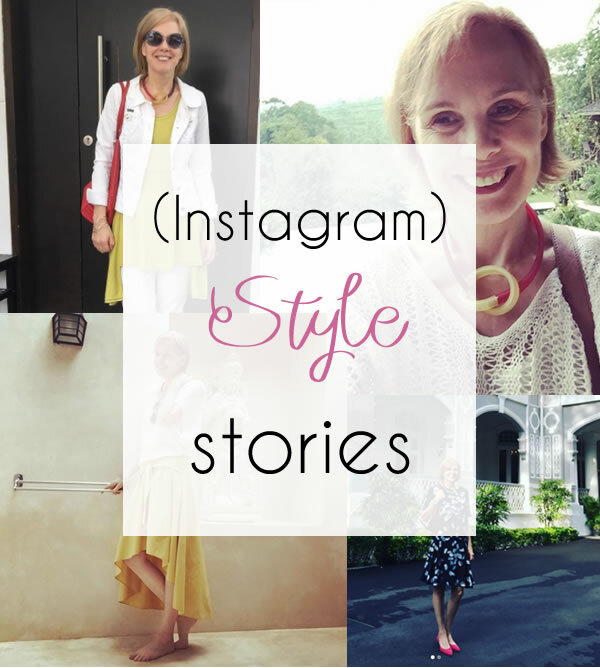 I thought it would be fun to share some of the stories and details behind the instagrams I share. 2 weeks ago I went to Bali for a business retreat organised by Natalie from the Suitcase Entrepreneur. I always aim to get smarter in business (and life) and if I can mix business with pleasure I’m all for it! 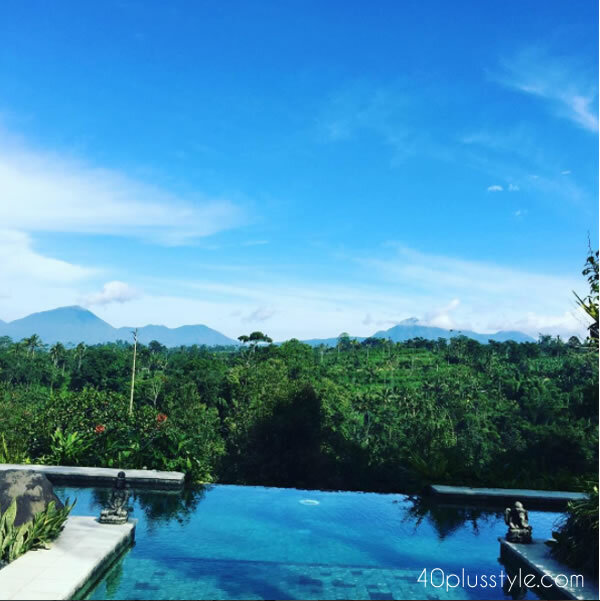 We stayed at Heaven in Bali which is a beautiful retreat in the mountains of Ubud. There is a live video on Instagram of this view too. This was my travel outfit. A new skirt from Zara with sleeves (complete with cuff and buttons!) tied in the front. I love that detail as well as the asymmetrical hem. The top is a cropped top from Stella Carakasi and is super breezy. 32% of the fabric is paper! Perfect for the hot weather. I also got this short sweater in kiwi. Our days started with yoga in a wonderful semi outdoors space. This is also where we had our workshops. The capri leggings I’m wearing here are from Stella Carakasi too. Back home I relaxed in this outfit. I love these wider pants from Bellamy which are so comfortable. Normally I would not pair these with a wider top but since this one is very short and ends at my waist it works. I would probably wear the necklace a bit higher next time. I have also been wearing this new tunic by Stella Carakasi which has a bright green / yellow color. I’m loving this pop of color which looks especially good with white but I’ve been wearing this with my cropped Uniqlo jeggings too. 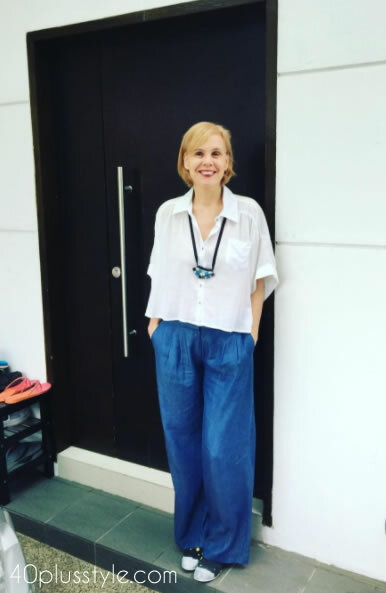 This was my outfit for an evening at the British High Commission for a networking event. I’ve had this Kenzo dress for 2 years now (bought at 70% off in the sales) and I still love it. That was truly a bargain. Looks great with fuchsia. Here I’m embracing more color with my fuschsia cape top. A challenge in the 40+ Style club featured a fuchsia top and cropped pants and here I’m combining both. This was for an evening out in Marina Bay. Clearly I wanted to have a bit of fun with my style as I opted for these high platforms as my shoes! Be sure to follow me on Instagram for all new updates! Are you embracing color this spring? Which of the above looks is your favorite? You look wonderful in each outfit. Great styling. Saw a lot of new items in your wardrobe, like the fuchsia platform shoes (and so much more). Enjoy your website and all the different style ideas! Very helpful! thanks Sue. That’s great to hear!